Soundproof windows without replacing your existing window! Our secondary glazing solutions provide high levels of acoustic as well as thermal insulation. Our Double Glazed Windows System is the most cost effective method of reducing noise. Our soundproof windows and double glazed windows suit Sliding, Double-Hung, Casement, Awning, and Fixed windows. 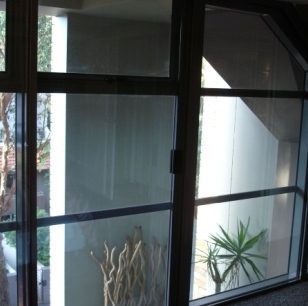 In fact all types of windows can be treated with the Sound Barrier System! Acoustically tested and verified to reduce noise by up to 80%. Sound Barrier Systems are the experts at the manufacture and installation of soundproof windows and double glazed windows. Our range of products allows us to provide different solutions depending on your building and noise requirement. In most cases the existing windows do not need to be replaced; Sound Barrier secondary soundproof windows are installed inside the existing window which will improve the overall sound insulation of your building! Where secondary soundproof windows are impractical, Sound Barrier can provide full replacement soundproof windows with an acoustic rating of STC 41 to 45. All Sound Barrier System solutions provide high levels of acoustic as well as thermal insulation. A selection of our acoustic test results are available here. The Sound Barrier Secondary Glazing System is the most cost effective method of soundproofing windows. It is an add-on glazing system installed on the inside of existing windows, creating a double glazed window unit to reduce noise transmission. The advantages are that existing windows do not have to be replaced and window style is individually matched. Suitable for Strata units and townhouses, heritage style properties and free standing homes. The air pocket created between the original window and the Sound Barrier System provides an insulating medium for both noise and thermal transmission. Both the original windows and the Sound Barrier System can be opened for cleaning and ventilation. 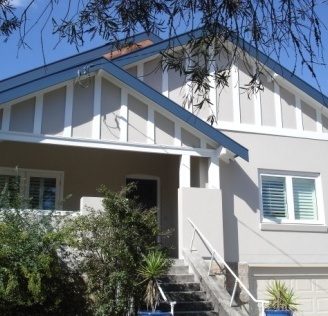 Sound Barrier secondary windows are suitable for use in units, villa's/townhouses and free standing homes, and are suitable for all types of existing windows including aluminium, steel or timber frames. Sound Barrier windows will suit Sliding, Double-Hung, Casement, Awning or Fixed windows and have been independently acoustically tested and verified to reduce noise by up to 80%. 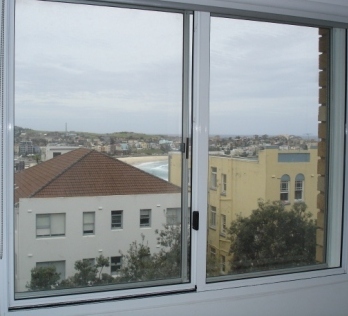 The Sound Barrier Double Window System is a double glazed window system using award winning Australian designs in aluminium (Australian Design Award 1987). This system is suitable for window replacement projects and new construction and renovations when the highest possible noise reduction is required or to comply with the acoustic report specified in your development consent. The double system works in much the same way as the add on system, with the added benefit of an acoustically rated primary (outside) window and acoustic sealing of the entire unit to the building during installation. Depending on chosen configuration and glazing, STC 40-50+ is provided. The Sound Barrier Double Glazed Window System is an acoustically proven solution to the transmission of noise and heat. Most window fabricators can supply double glazed window solutions, which will provide a level of thermal insulation but only give minimal acoustic insulation. The Sound Barrier Double Glazed Window System is designed explicitly to reduce noise transmission by up to 80%. This Sound Barrier Double Glazed Window System provides acoustic ratings in excess of STC 40 due to our unique glazing specification, frame and seal design. It is suitable for replacement projects and new construction and renovations, particularly for timber windows in bungalows, terraces and semis. 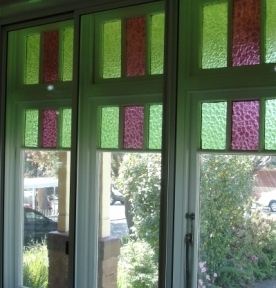 All windows are designed to replicate the period and style of the existing windows.